The original world famous, high specification rubber tape that welds to itself by chemical action. Rubbaweld waterproofs and insulates all terminals/connectors for electrical, VHF, nav equipment, audio etc. 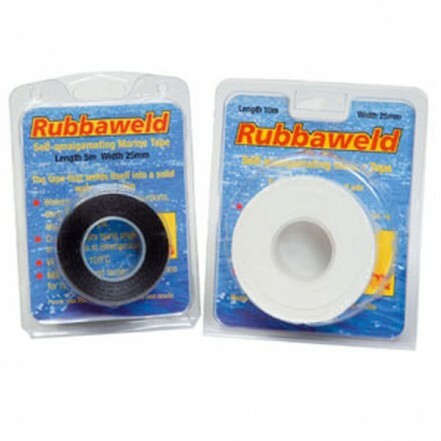 Rubbaweld has many corrosion proofing/anti chafe uses on deck for rigging screws, split pins and wire splices. This versatile tape will even repair leaking pipes and in emergencies will repair burst engine cooling water hoses. Continuous temperature rating of 100 degrees centigrade.